First version of a short film based on the poem Nomade by Pierre Reverdy, for a dynamic movement/editing assignment. Directed by Abby Francis for the Auteur 101 film class at Johns Hopkins University. This is something I’ve been harping on about for years to my politely disinterested friends. Though the re-appropriation of TV comedy is widespread, I think it’s best encapsulated by Tina Fey’s NBC show 30 Rock, starring Tina Fey, Alec Baldwin, and Tracy Morgan. While I certainly believe in ennui as a creative barrier, 30 Rock doesn’t so much re-illustrate existing comedic themes as it does plagiarize scenes and storylines from older TV comedies. This accusation is difficult for me to make, as I am a big fan of Tina Fey, and have even read and enjoyed her book, Bossypants. If you ever watched the show Friends, you may recognize this quotation: “It’s me, Rhonda, from PS-129. I shared my puddin’ whichu man… I gave you my snack pack!” This semi-iconic line is spoken by Sherri Shepherd* in the Museum of Natural History’s employee cafeteria. Now, fast-forward ten years to the airing of the 30 Rock episode titled “Secrets and Lies” in 2007. In this episode, Jack (Alec Baldwin), a staunch political conservative, is secretly dating a democratic congresswoman. Sick of sneaking around, Jack takes his girlfriend to his executive cafeteria during lunch, where he confesses all to his fellow (republican) co-workers. Surprise, Surprise, this incites a succession of other employees standing up and offering increasingly personal confessions, the last of which is “I murdered my wife”. This second example of comedic thievery begins involves two very shoddy cooking appliances: George Bluth’s Cornballer (from Arrested Development), and Tracy Jordan’s Meat Machine (30 Rock). The Cornballer is first introduced in S1 E3 of Arrested Development**, and re-appears in several later episodes. In the show, we learn that George Bluth (Jeffrey Tambor) invented the Cornballer in the 1970’s, and subsequently made infomercials with Richard Simmons to market it. However, when it is discovered that the faulty device habitually shoots hot oil at its users, the Cornballer is banned in the US. Ever the opportunist, George continues to market and sell the Cornballer in Mexico, as evidenced in a Spanish version of the Richard Simmons infomercial. 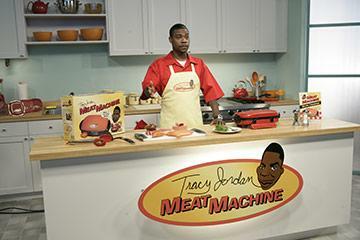 Seven years later, In S1 E10 of 30 Rock, Tracy Jordan (Tracy Morgan) invents The Tracy Jordan Meat Machine and stars in an infomercial to market it. Then, believe it or not, it is revealed that the Meat Machine is faulty and habitually shoots hot oil at its users, and the Meat Machine is banned in the US. Ever the opportunist, Jack decides to market and sell the faulty device in the Ukraine. He re-brands it as The Whoopi Goldberg Meat Machine, and gets Whoopi Goldberg to shoot a Ukrainian infomercial for it. Despite my long-winded plot synopses, I hope I was able to provide a cohesive argument. Unfortunately, these are only two examples of many that I’ve come across, particularly on 30 Rock. The re-appropriation of comedy is very real, and it annoys me. *Friends, S4 E11 “The One with Phoebe’s Uterus” aired in 1997. **Arrested Development S1 E3 “Bringing up Buster” aired in 2003. J’ai voulu ce matin te rapporter des roses ; Mais j’en avais tant pris dans mes ceintures closes Que les noeuds trop serrés n’ont pu les contenir. Les noeuds ont éclaté. Les roses envolées Dans le vent, à la mer s’en sont toutes allées. Elles ont suivi l’eau pour ne plus revenir. La vague en a paru rouge et comme enflammée. 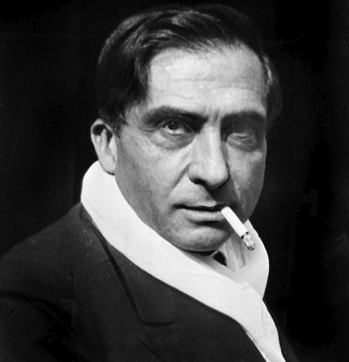 Ce soir, ma robe en est toute embaumée. Respires-en sur moi l’odorant souvenir.